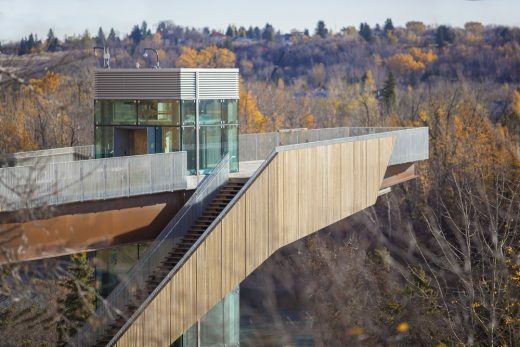 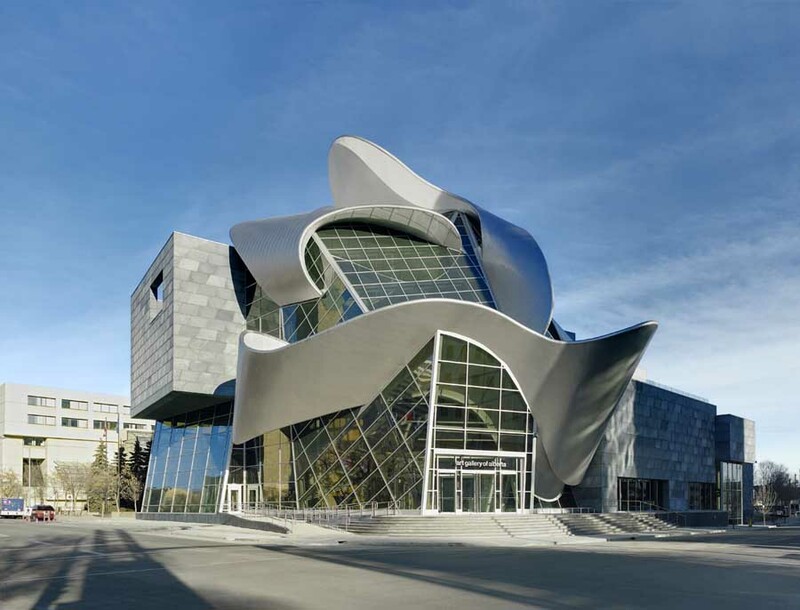 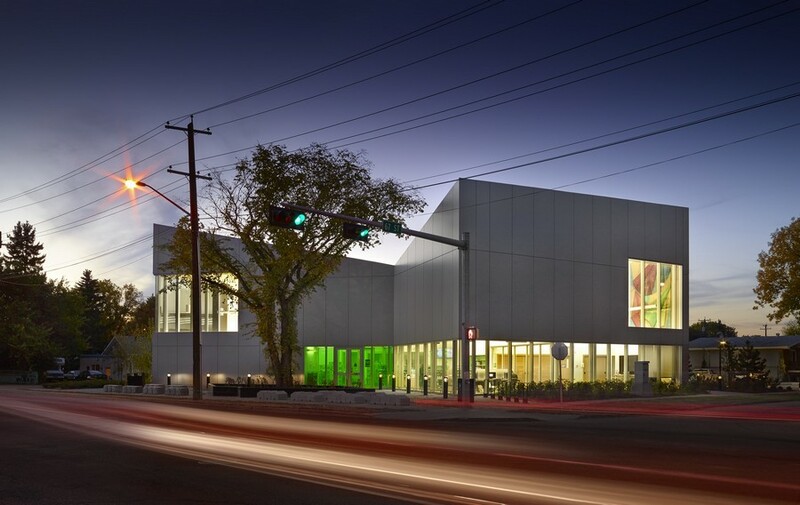 A new Alberta sports building that develops contrasts of black and white, small and large, dark and bright. 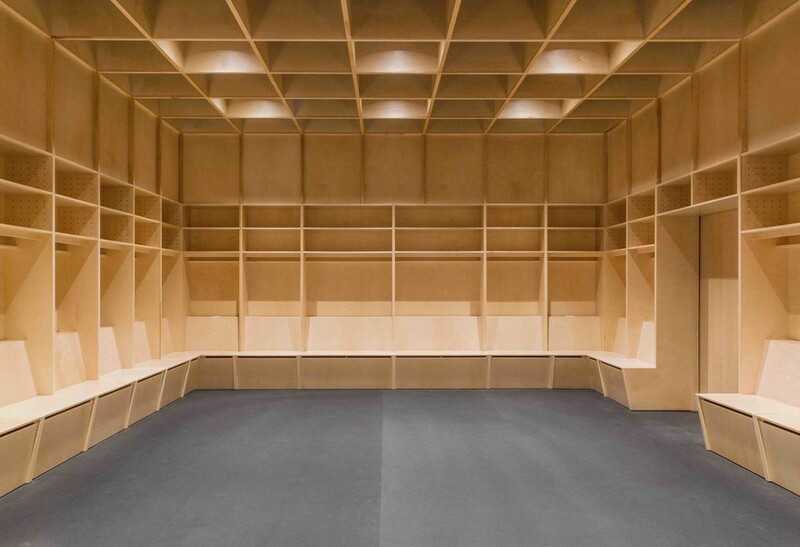 A series of operational spaces were designed for the Medicine Hat Tigers WHL hockey team. 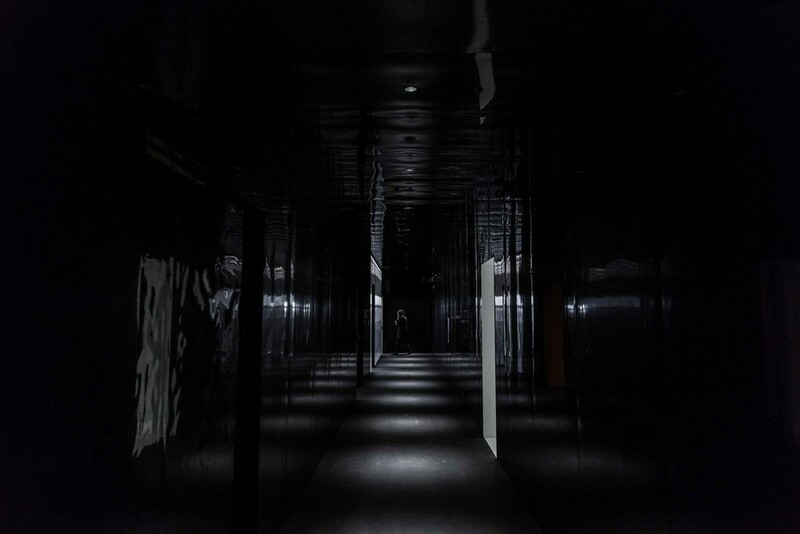 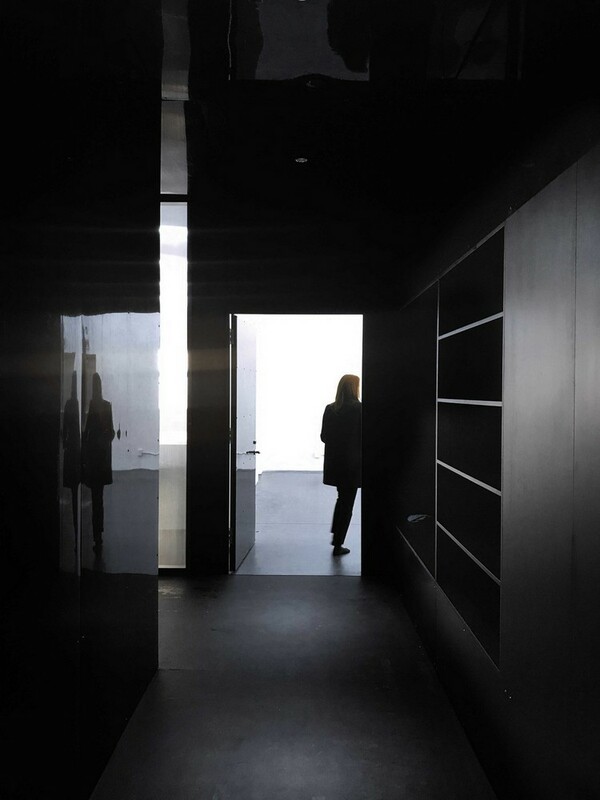 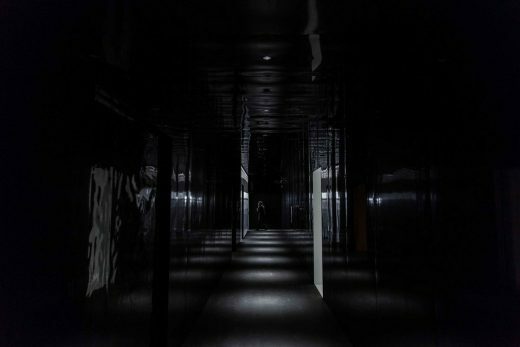 One of the spaces, a long black corridor, is clad entirely in black and lit theatrically from above. 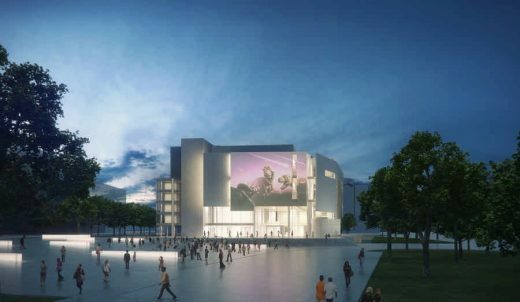 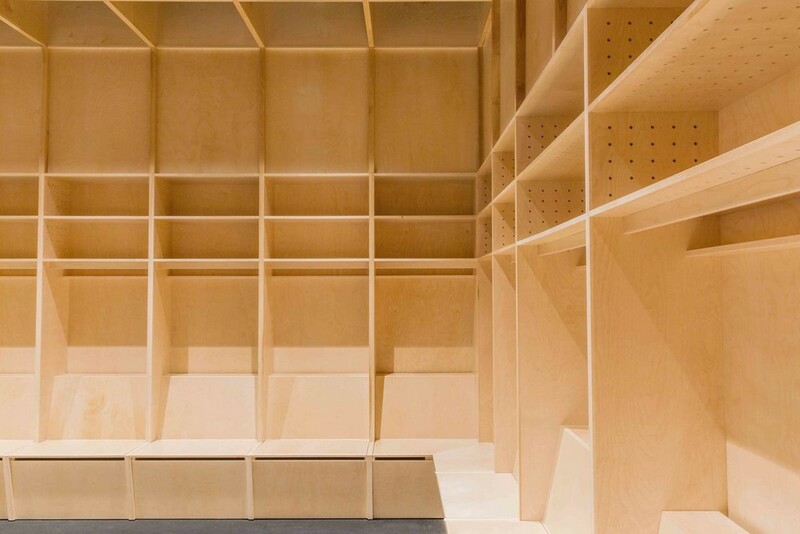 Like the space from which gladiators emerge into combat in a Roman Colosseum, this space contrasts the brightly lit, loud and enormous volume of the arena they are about to enter. 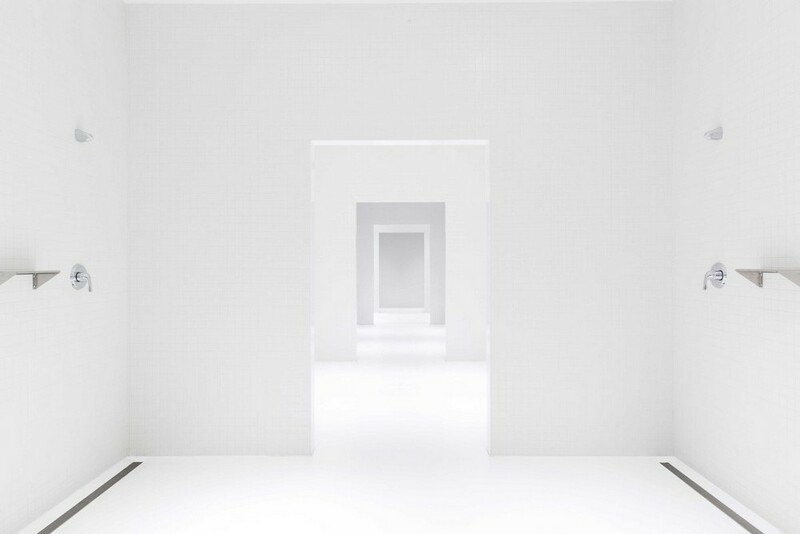 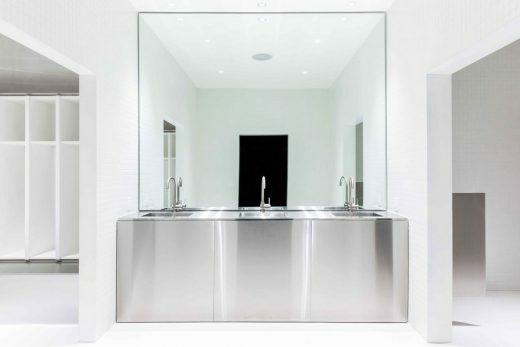 Another space, clad entirely in white, provides a space for washing and dressing. 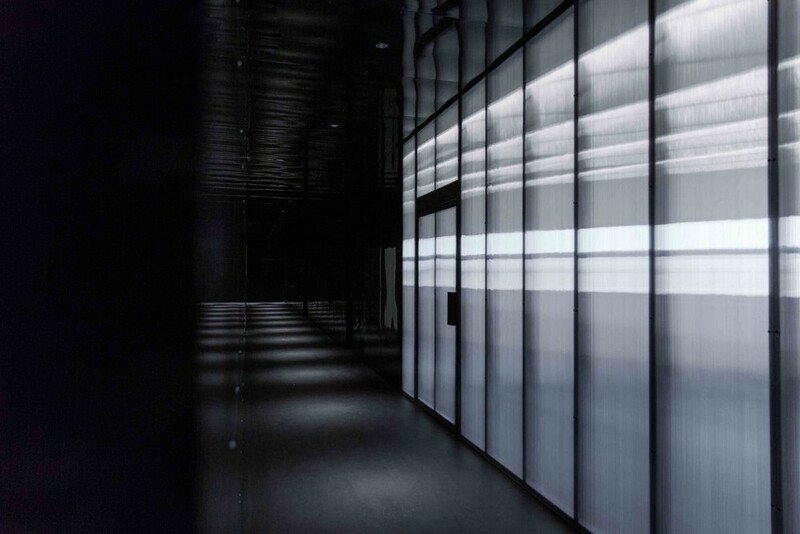 The two meet at sharp threshold. 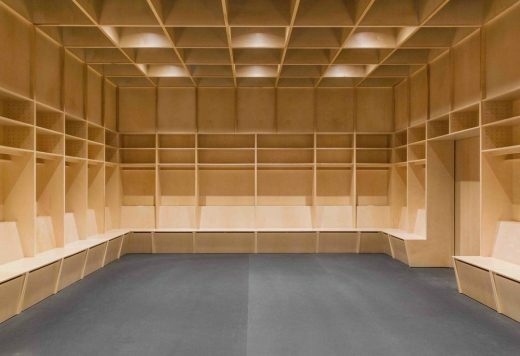 The Dressing Room, designed to embody team spirit, cooperation and solidarity, includes a frame that extends the individual player’s stall unit into a continuous grid that also incorporates lighting and ventilation.